Gin's diverse flavor profiles create a wealth of possibilities for cocktails. 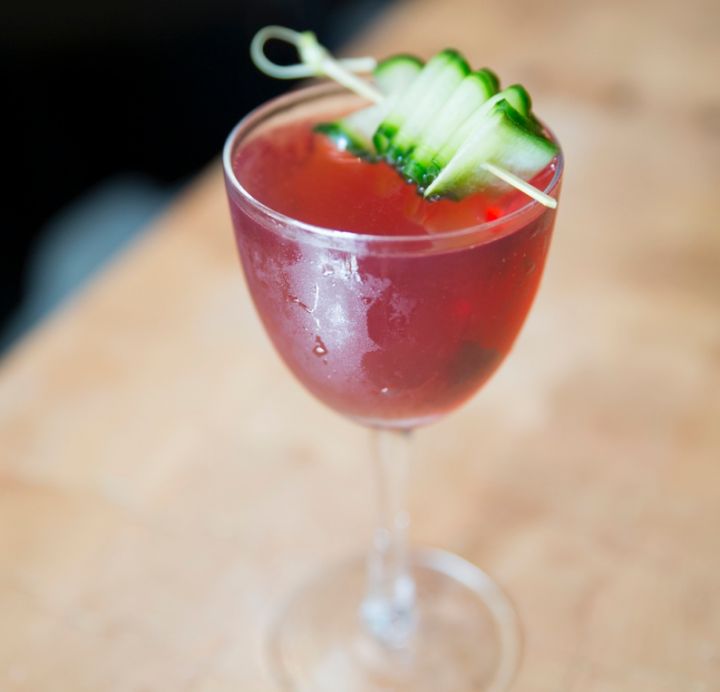 The Origamiami plays on the cucumber notes of Hendrick’s by adding sake and house-made cucumber bitters. 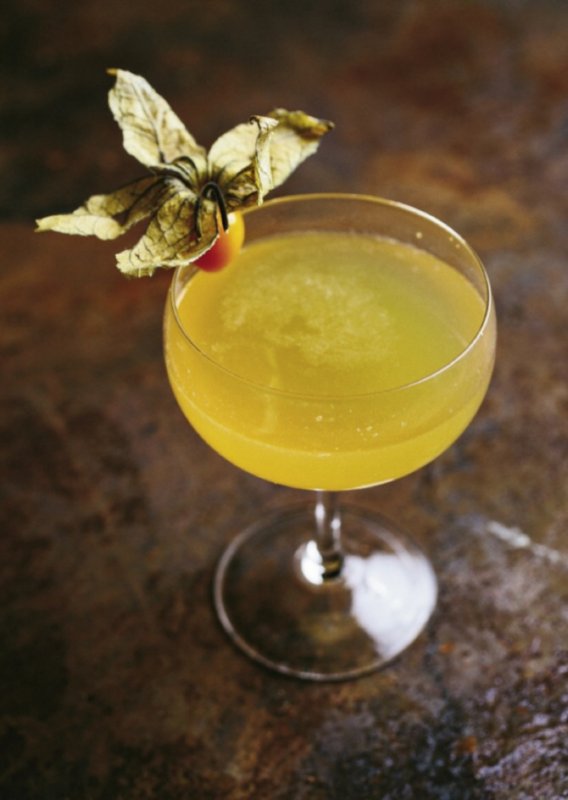 To many mixologists, gin is the ideal cocktail base. While vodka’s character may get muddled or lost in a drink, and whisk(e)y can overpower other ingredients, gin shines in a plethora of tipples. “I always talk about gin as being the middle sibling between vodka and whisk(e)y,” says Jose Cordon, beverage director at Community Tavern in Chicago. “It has the clean body of vodka, but with much more flavor. And it can have the sweetness of whisk(e)y—especially in barrel-aged expressions and Old Tom gins—but it’s never overpowering. It’s so much smoother, and it plays really well with other ingredients.” Today’s cocktail menus feature a variety of gins, from London dry to genever, that offer a range of flavor profiles. As consumers have warmed up to gin in recent years, they’ve learned more about the traditional pre-Prohibition cocktails that feature the spirit. “Our consumers are really intrigued by and enjoy classic gin cocktails that had been forgotten, but are now making a comeback,” says James Bolt, manager at The Gin Joint in Charleston, South Carolina. “They’re calling for time-honored drinks like the Southside, the Clover Club and the Bijou.” Bolt also features gin in modern concoctions, such as the Velvet Glove ($10). The drink comprises Ransom Old Tom gin, Vago Espadin mezcal, Green Chartreuse, Pierre Ferrand Dry Curaçao and Angostura bitters. Classic recipes provide a base to which adventurous mixologists can add a personal flair. “Gin cocktails are evolving from tried-and-true offerings to inventive house spins on the classics,” says Andie Ferman, brand ambassador for St. George Spirits. The craft distillery makes three distinct New Western–style gins, as well as other spirits. 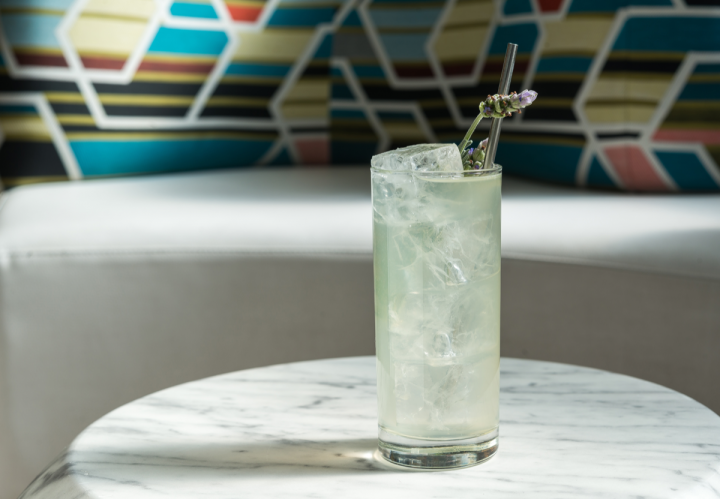 At Barmini in Washington, D.C., the Aromatherapy ($12) is a twist on the Tom Collins created by head bartender Jose Rivera. It features St. George Terroir gin, Dolin Blanc vermouth, lemon juice, simple syrup, Scrappy’s Lavender bitters and soda water. Mixologists are particularly drawn to gin for its mixability and versatility. “I like everything about working with gin in cocktails,” says Matt Amann, beverage manager at Chicago restaurant Ceres’ Table. “There’s an amazing versatility of gin styles that can complement a refreshing cooler or a rich and dense spirit-forward drink—and everything in between. 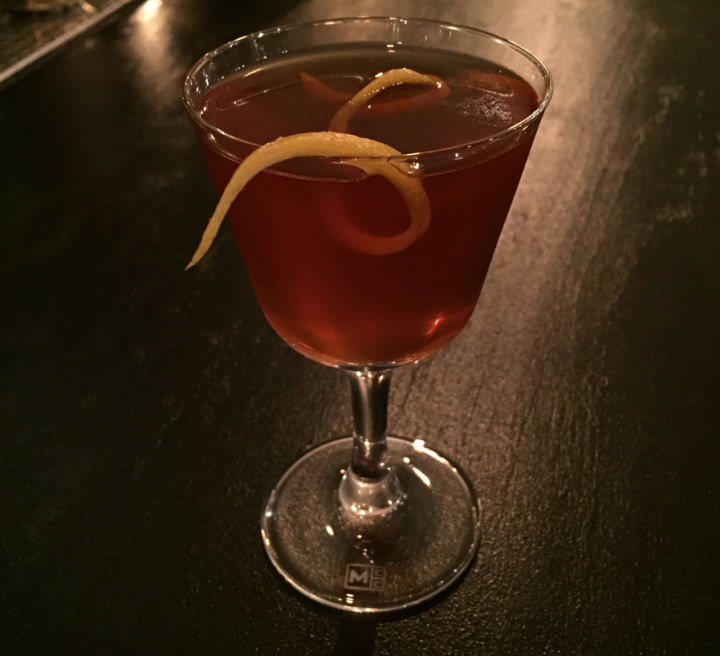 I enjoy a spirit that stands up for itself and isn’t afraid to be aggressive in its qualities.” His Vandalo ($10) blends Distillerie de Biercée Peket dè Houyeu genever with Cynar amaro, house-made honey syrup and Regans’ No. 6 Orange bitters. Combine gin, vermouth, juice, syrup and bitters in an ice-filled cocktail shaker and shake vigorously. Fine-strain into an ice-filled Collins glass and top with soda water. Garnish with a fresh lavender flower. Combine gin, mezcal, Chartreuse, vermouth, Curaçao and bitters in an ice-filled mixing glass. Add ice and stir until slightly diluted. Strain into a chilled Nick and Nora glass, express a lemon peel over the drink and discard peel. 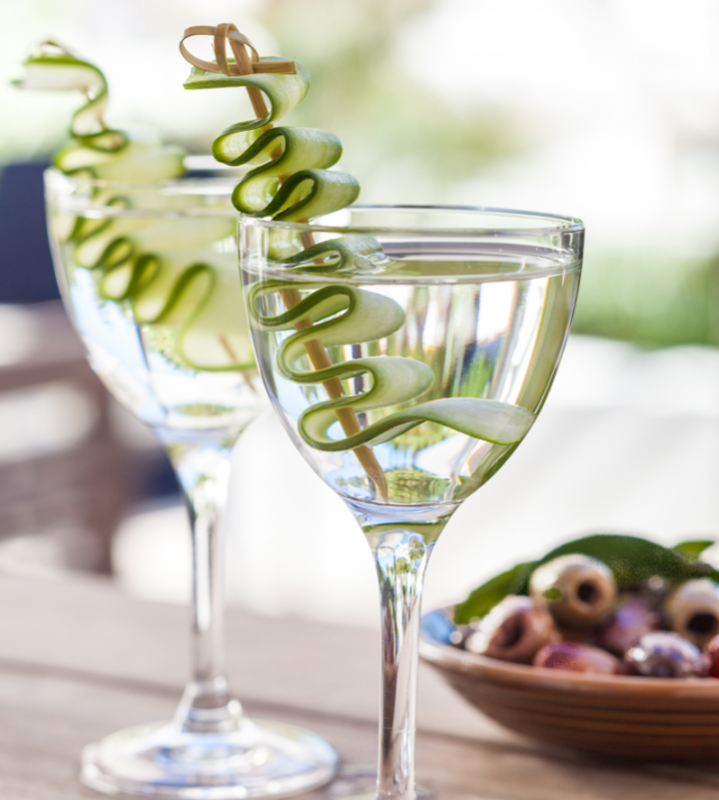 Garnish with a cucumber ribbon. Combine genever, amaro, syrup and bitters in an ice-filled mixing glass and stir until properly chilled. Strain into a cocktail glass. Express the oil of a lemon peel over the drink and use peel as garnish. 1Mix equal parts honey and water by volume.